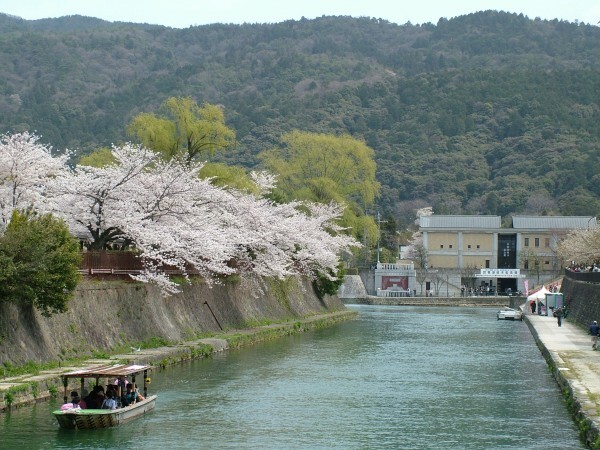 The famous Higashiyama hills often appear in literature and art, but also provide one of the most unique and fascinating hiking destinations this country can offer. We begin the tour exploring wonderful Nanzenji, the most famous zen temple in Japan, with its beautiful rock garden & artworks. 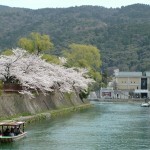 Nanzenji is a destination in itself. Today however we will hike from Nanzenji up into the Higashiyama, visiting a waterfall & grotto that is still used today by worshippers, before heading north through the forest. We will make a short detour to the old Christian cemetery, where many of the converts to Christianity during the Bakumatsu and Meiji period are buried, including Niijima Jo and his wife Yamamoto Yaeko, the founders of Doshisha University. Returning to the ridge top, we head further north until we reach the Daimonji – a massive kanji character set in rocks, set ablaze during the old capital’s famous festivals. On clear days you can look down not only upon Kyoto, but also the skyscrapers of central Osaka. We will have a picnic here. Although we are inside the city of Kyoto, and a metropolitan area stretching to Osaka and beyond, we will spend most of our time in a quiet forest. Sometimes you can see monkeys & serow. At the end of our hike, we descend to the famous Ginkakuji temple, arguably Kyoto’s finest. Built by Shogun Ashikaga Yoshimasa (1436-1490), it has a wonderful garden & views across the city. There will be time to hunt for souvenirs in the shops below the temple. To end the day, we return to Nanzenji following the Tetsugaku-no-michi (The Path of Philosophy). It is beautiful at most times of year, but particularly in the Spring (beautiful cherry blossoms) & the autumn colors of Fall. This is one of the best tours offered in the yearly schedule. You need to bring a packed lunch, drinking water, rain gear, and good walking shoes (sneakers should be OK) or hiking boots. A reasonable level of physical fitness is required for this tour.